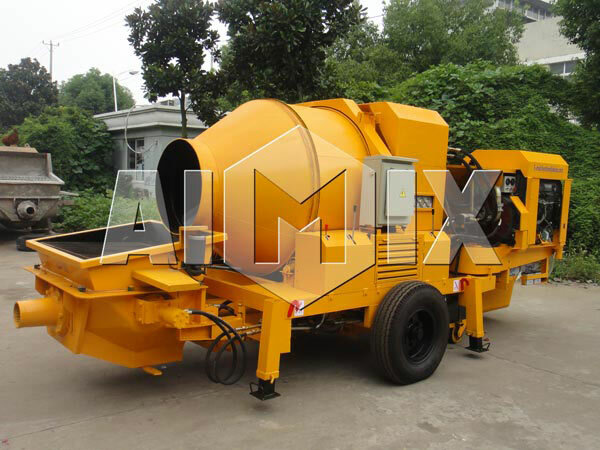 Classification of Common Concrete Pumps Aimix Group Construction Equipment Co., Ltd.
Common concrete pumps can be divide into four types of concrete pump, which are concrete mixer pump, trailer concrete pump, concrete boom pump and truck mounted concrete pump. Although the four of them belong to common concrete pump, and they have different components, working principles, advantages, usages and so on. Today, AIMIX will take you to learn classification of common concrete pumps to get more information. 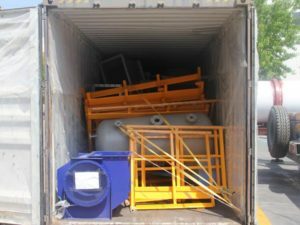 Trailer concrete pumps for sale are equipped with tires, which can be dragged to concrete construction projects by tractor. Trailer concrete pump is really convenient to operate, which only needs one worker in the working operation. Actually, the efficiency of the whole trailer concrete pump is decided by concrete mixer. Trailer concrete pump is widely used in airport, road, bridge, water conservancy, electric power and civil buildings to achieve a long time continuous pumping of concrete due to its safe operation, high efficiency, good quality, low cost and no pollution. 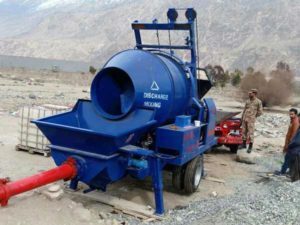 Concrete pump mixer is a collaboration of concrete pump and concrete mixer, which effectively saves the equipment cost and improves the construction efficiency. In quality, our concrete mixer pump has a good quality and long service life. In price, our concrete mixer with pump has a favorable price as small cement plant price. In pumping, vertical height of concrete mixer pump can up to 80-100 meters, the horizontal distance of concrete mixer pump is 150-300 meters. In general, concrete mixer pump can be divide into electric concrete mixer pump and diesel concrete mixer pump. Concrete mixer pump has the characteristics of small power, small size, easy movement, low cost, and long service life. Concrete mixer pump can be applied to heating, spraying engineering and spraying of refractory material due to its small volume. It is especially suitable for rural urbanization and new rural construction 5-10 floors building construction because of it has convenient operation than concrete boom pump and truck mounted concrete pump. Concrete boom pump is also called concrete pump truck, which has high flexibility and fast relative speed in the working operation than other concrete pumps. 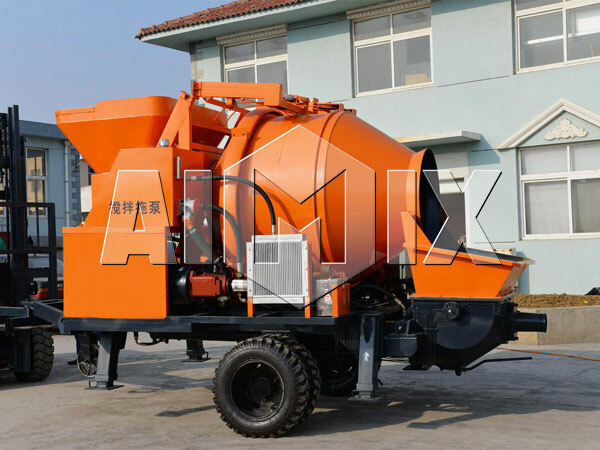 Truck mounted concrete pump combines the advantages of trailer concrete pump and concrete mixer truck, which is a cost-effective machine. Compared with concrete boom pump, truck mounted concrete pump has no independent support, and it has the advantages of low operation costs, high returns, high conveying height, strong flexibility, high availability and easy maintenance. Compared with trailer concrete pump, truck mounted concrete pump has strong maneuverability, easy installation, high equipment utilization rate, good pumping performance and fast speed. Compared with concrete mixer truck, truck mounted concrete pump has low occupancy, low cost, long pumping distance and high pumping height. In price, truck mounted pump has a low price than concrete boom pump and a high price than trailer concrete pump. As the leading enterprise of China construction equipment, AIMIX always offer favorable price and good quality concrete pumps for global users. 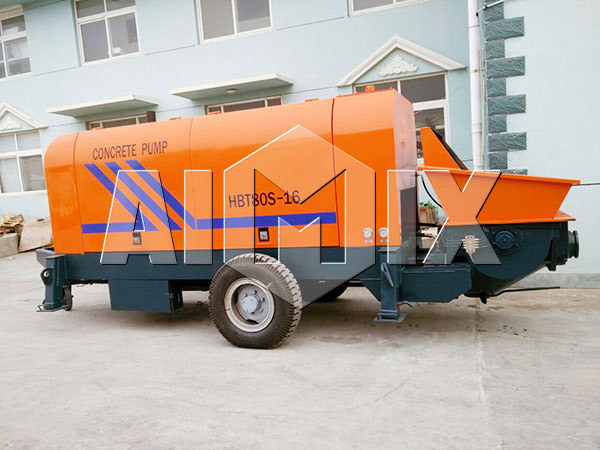 At present, AIMIX can offer concrete mixer pump, diesel concrete pump, electric concrete pump, concrete line pump for sale, trailer concrete pump, truck mounted concrete pump, mini concrete pump machine, concrete pump small, mobile concrete mixer with pump, portable concrete pump for sale, hydraulic concrete pump, manual concrete pump for sale and cement mortar pump. Dear uses, welcome to buy our concrete pumps. We are sincerely looking forward for your coming and visiting.